Strawberry Nutella Rollups AKA "Gooey Delight"
So I've been working on this post for about 30 minutes now, and my brain is fried. It's been one of those days... Ok, I lied... It's been one of those couple of weeks. Last week I felt like most of my world was crashing down around me, too many details to share here, but let's just say it's been rough. My Hubby had jury duty last week, and then I too got summoned (luckily my Hubby got me out of it, I mean seriously summoning a Husband and Wife for the same time period?!? Not ideal.... Especially when you have 2 kids and your babysitter is out of town) and well yeah, that wasn't even the worst of it. But we got through it all and now I'm trying to get back into some sense of normalcy. As you may know I have a 5 year old Son and a 1 year old Daughter, and that makes for some interesting days, especially when you add in homeschooling the 5 year old... I have to say my Son is quite smart, but oh does that boy know how to push my buttons... Today I felt like I was fighting a loosing battle with him to get anything done. Just about the only thing he didn't fight me on was eating.... Well that is once I made this "gooey delight" as he called it. Those of you who've been following my blog for a long time now probably already know my that Son can be a very picky eater (luckily this gene seems to have skipped over my daughter!! YAY!) and that's caused me to come up with some very random recipes. Well today I had an epiphany, he didn't want the PB&J I was offering (which my 1 year old had already eaten all of her food by this point.... lol!) but he wanted "something gooey like it". After racking my brain for about 10 minutes trying to figure out what other "gooey" things I could feed my son (yes, I realize how weird this sounds... lol!) I finally came up with this... 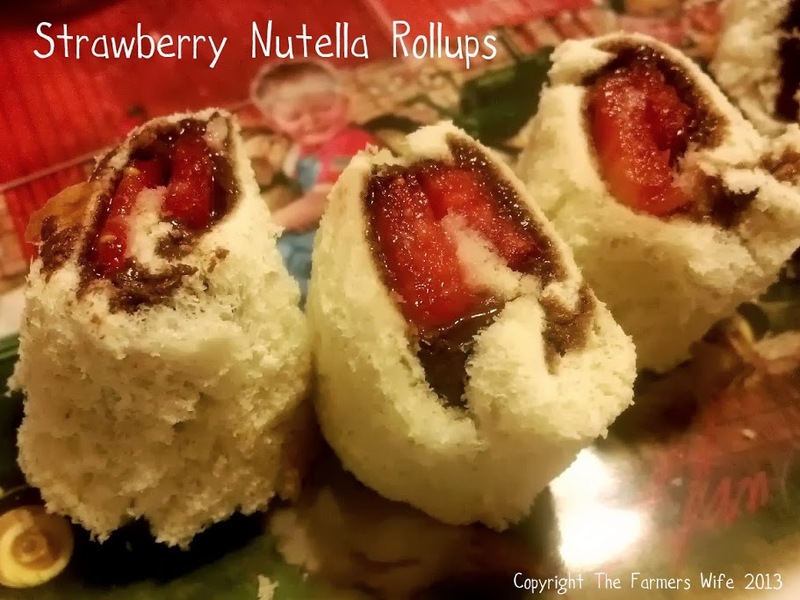 Strawberry Nutella Rollups! Nothing overly fancy, not something I would make everyday, but if it meant he would eat it was worth it! And he LOVED it! 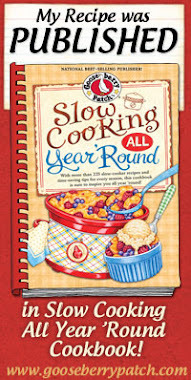 So while it's not anything like my normal recipes, I figure I can't be the only Mom with a picky eater who loves all things "gooey", so for you other Mom's out there this one is for you! I hope your kiddo's will enjoy this treat as much as my little Man did! Cut the crusts off the bread, this will make it easier to roll, then flatten them a bit with your hands or a rolling pin. Spread a thin layer of Nutella over the each slice, then place a few slices of strawberry along the middles of the bread. Carefully roll up each slice of bread like you would sushi, then slice into 2-3 "rolls". You can also do this will banana instead of strawberries or any other nutty spread you like. Enjoy! This was so incredibly easy, but my 5 Year old gave it 2 thumbs and 2 big toes up! (He is such a goofball sometimes!) 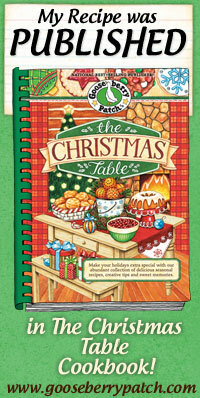 Would be a nice change of pace this school year in your kiddo's lunches too! 4 stars.